If you are looking for high quality mattresses at discount prices, then you have definitely come to the right place. Whatever type of mattress you are looking for, we can help. We have a huge range of different styles and sizes and sell all UK standard sizes of mattress. We also provide a bespoke made to measure service for any size mattress. You can purchase a mattress separately or as part of a whole bed set. We have single and double mattresses available, from 2ft 6in single mattresses up to 6ft super king size mattresses. Whatever the size of your bedroom we will have the perfect bed for it that will not only look fantastic but will allow you to have a great nights sleep too. There are several different types of mattress available at Divan Beds Centre. We have zip and link mattresses for zip and link beds, pocket sprung mattresses, memory foam mattresses, and coil sprung mattresses. 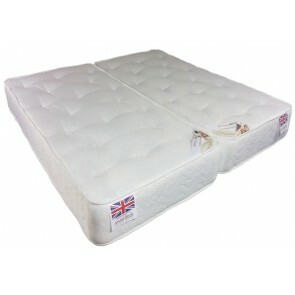 We also have combination mattresses such as memory foam pocket sprung and memory foam coil sprung mattresses. If the sheer number of different mattress types sounds a little confusing, don\'t worry, we have a whole team of staff ready to help you choose the right one for you. We can help you through the buying process and provide advice on what the most suitable mattress is for your needs. We also have an extensive amount of information on the site about the benefits of each type of mattress. 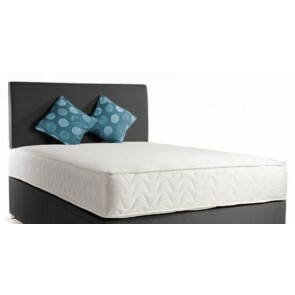 If you are looking for luxury then you may want to consider a memory foam mattress. If you fidget in your sleep then a pocket sprung mattress may be ideal as this absorbs and spreads the weight more evenly so anyone sharing the bed won\'t be disturbed. If you run a bed and breakfast then exploring the idea of a zip and link bed may be worthwhile as this will provide the choice of two singles or one double in a room. 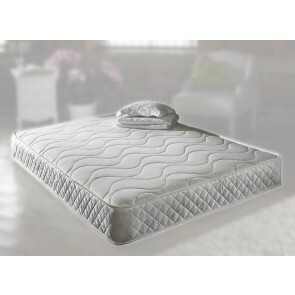 If you are on a budget then a coil sprung mattress is perfect as they offer exceptional value for money. Whatever your requirements, we have the ideal bed and mattress for you.